Not only do we offer top, hotel-quality bedding, kitchen and bath linens, but we also offer utility grade and special discounted options that can work just as well! Irregular flour sack towels and cotton textiles are simply items that have not passed our multiple quality checkpoints. This means the product may exhibit one or more flaws that disqualify it from shipping out to customers at regular price. You may see small staining or discoloration, colored threads, unsewn hems, size variations, etc. Instead of tossing these items in the trash, we sell them at a fraction of the price! Cotton Creations customers enjoy maximum value with our “Irregular” cotton textiles, without needing a special code or wholesale account. We have produced cotton products for decades and oversee daily quality control very closely. As we have transitioned production all in-house, we are sorting old inventory and tightening up our quality standards. Any product that does not pass our inspection is sorted out and deemed an “irregular” textile. Many towels just barely miss the quality standard and could pass for near perfect! But when it’s not right, it’s irregular. This is your perfect chance to scoop up our flour sack towels, tote bags or other products at the lowest possible prices. These irregulars are priced at a lower cost for a few reasons. This helps us to make room in our warehouse, give customers a wonderful value on a highly useful product, and keep textiles out of the trash. The irregulars we offer do vary based on our inventory and production trials, so make sure to act fast! You can use these irregular products for dirty indoor and outdoor tasks that are super rough or may cause towels to stain or tear. These also work as rags or you can cut them into smaller pieces for specific cleaning and crafting projects! Depending on the level of variation, you can still use these towels for screen printing or for special events. Although the items may be flawed, they are still pre-washed and dried, making them food-safe and gentle on skin. Our irregular products vary throughout the year, depending on our production flow. Check back often to see what we have discounted; we offer irregular napkins, tote bags and flour sack towels so you can have a functional, 100% cotton product for less. All sales are final on our irregular products! 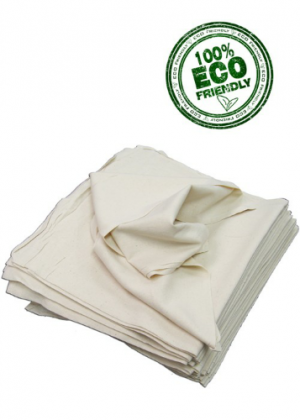 If you plan on using our famous flour sack towels for cleaning and dusting purposes around your business, restaurant, bar, job site, day care or car wash then you should choose the irregular option. Our standard flour sack towels are crisp and clean, without any stains or uneven shaping. There is no need to spend full price if your towels will quickly become less than perfect in appearance. Doing tough and repetitive tasks can eventually put some wear or stains on your linens, so you might as well choose the discounted version! Our 100% cotton towels leave little to no lint behind while cleaning, polishing or drying and are highly absorbent. They can lay out on the counter to rest wet dishes, protect surfaces from paint or other substances or even be used as a handy kitchen tool. Improve the efficiency and cleanliness of your home or work place without hurting your bottom line. Get reusable, irregular flour sack towels and experience the incredible value! Even though these products may have aesthetic flaws, the fabric itself is still the same 100% cotton flour sack material we are known for. These towels will surely still be absorbent and soft, even if there is a small hole or colored thread. 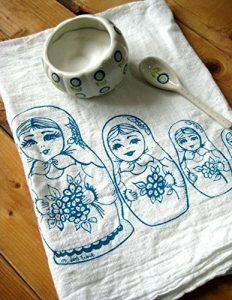 Cut into a specific shape, poke holes or add a slit to your irregular towels so they can totally fit the task at hand. Many times when we are cleaning, our white cotton towels get stained or become off-white due to repeated washing with other colors or cleaning dark, sticky stains. Save yourself the hassle and some money by buying irregular towels from Cotton Creations. Keep a stack of cotton towels in a busy kid-filled household, service work truck or out in the shed. Any spill, stain or accident is no match to the durability of cotton fabric. When you buy the irregulars, you don’t need to worry about ruining your nice display towels. Even better, you can replace your paper towels and napkins around your home with cotton towels. Keep paper trash to a minimum and save money with reusable cloths. Toss soiled towels in the wash for next time! Keep these irregular towels around without worrying about running to the store for more. If you own an auto mechanic shop, our irregular towels are perfect for cleaning tools and parts and washing up after a long day. Similarly, many artists and folks who work with oils, paints and stains trust our irregular flour sacks as the perfect drop cloths, place mats, or to lay down flat to dry your brushes and tools. Keep a bucket filled with clean rag towels for added convenience, and toss them into the dirty pile when you’re done. Besides cleaning, these products are also a great crafting medium for kids and adults alike. Let your kids add their own special touch to these towels using paint, stamps, markers and more. They will be unique works of art that will still be functional. Upgrade arts and crafts time… include new textures and mediums to expand your creativity. Think cotton! Keep a pile of irregular towels in your kids’ craft room or daycare for a rainy day activity or easy and custom-made gift. They can paint and cut the towel to make it all their own, without having to feel guilty about ruining a clean white towel. 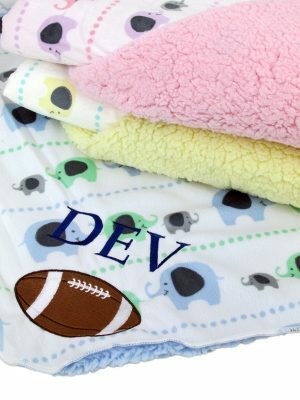 What could be more special for a grandparent or teacher than a sweet, personalized towel keepsake? And when the crafting is over, use another irregular towel to clean up any glitter and paint left over. These really are multi-functional to make any task or project run much smoother. Save money on paper towels and tissues! Grab some irregular cotton flour sack towels and napkins to keep your wallet and workspace comfortable. If you are in charge of stocking inventory in your workplace, consider trying out the irregular linens from Cotton Creations to increase value and decrease spending. You can get a small batch or a large amount of towels at great prices, so you don’t have to over-order. Our irregular products may have aesthetic flaws, but the construction allows for a versatile, absorbent and strong cloth. Keep handy in the back room or in the kitchen, as they are food-safe and super handy for food and dining preparation. Use reusable cloths to clean the bathroom, floors or wash windows and forget the costly and disposable paper towels. These can be washed just like wait staff uniforms or tablecloth linens. Make cleaning and preparation in your work place easier! Contact our Sales Team if you can’t find exactly what you’re looking for. Many of our irregular flour sack towels have flaws in sizing, but are still bright white and lint-free, making them useful for customizing or screen-printing purposes. If your project or task allows for a bit of sizing variation or doesn’t require uniformity, you can use quality flour sack towels for only a small fraction of regular price. Especially if you are creating a batch of products to donate or sell at a discount, the irregular cotton products are the perfect place to get started. Order a few to test out for yourself and see if this discounted version can work for you! An excellent and welcomed addition if you are sponsoring an event, volunteering with Special Olympics or fundraising for an important cause. 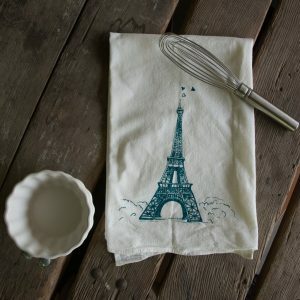 Personalized kitchen towels or cotton tote bags are a unique form of advertising and can also be a trendy accessory or home décor element. If you plan on crafting a towel set for your home or creating tote bags to give as Christmas gifts to the family, purchase the irregulars from Cotton Creations for extra savings. Irregulars are never guaranteed so stock up now before they run out! Clean and reliable linens are a necessity when keeping ourselves and our families healthy and comfortable. There are lots of people and organizations that do not have these resources we greatly rely on, so we are happy to make these products accessible at all price points. 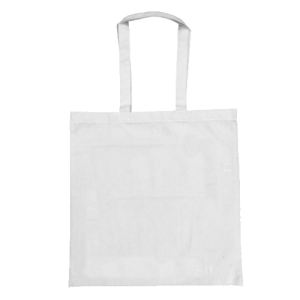 Our cotton towels and tote bags can help life run a little bit more smoothly. Irregular cotton textiles are perfect for very important tasks, like health care and housework. They are also suited to handle the very dirty tasks, like scrubbing, working with bleach, and home improvement projects. Although the flour sack material may have some minor flaws, the cotton is still super soft and durable. You can get a large batch of high-quality cotton towels for a low price you can’t find in stores, and free shipping is also available! People, animals and our environment all benefit greatly from 100% cotton linens, especially at prices this low! Save money on paper towels and napkins while improving efficiency and lessening your environmental impact. Use these towels for just about anything, and then wash in the washing machine so you can use them again. The benefits of using our irregular products seem to keep coming long after you make your purchase. You will be surprised at all the ways an irregular cotton product can improve your daily life and the lives of others. When you are doing important work, don’t waste time with laundry and purchasing disposable cleaning supplies. Choose irregular towels to keep your facility prepared, or buy a few boxes to donate. For instance, at the pet shelter, why use a perfectly spotless towel when you can grab an absorbent irregular cloth and wipe up those muddy paw prints or slobbery windows! Line dog cages and crates with these cotton towels to keep animals cozy and dry. 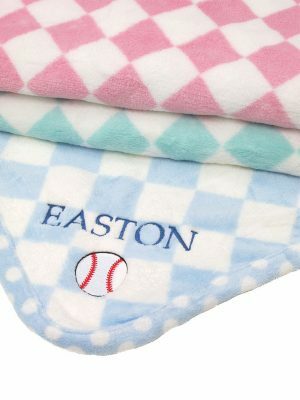 These towels can also be used to dry off from a bath, lay underneath water bowls to catch splashes and wash accidents from the playroom floor. It always helps to have a reusable cotton towel around! 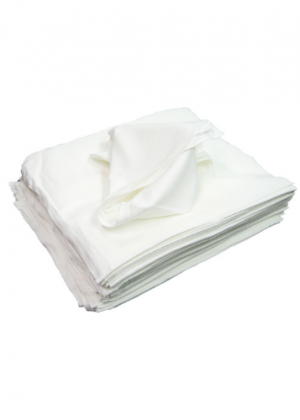 Homeless shelters and family welfare agencies can also always use clean cotton linens for all kinds of personal care giving and facility maintenance. The towels help organizations that are very budget conscious because you do not need to purchase these towels more than once, unlike disposable paper towels. You can order a hundred cotton towels for less than any other linen retailer when you choose to work with irregulars. Although these towels may have small holes or flaws, they are still washed and dried before we package, so you know they are clean and safe on hands and faces. Our irregular product line is suited for the budget-friendly and hardworking folks who need to get important jobs done right. Our flour sack towels are used my hospitals, restaurants, designers and service teams all across the United States. You can be sure that this fabric will be adaptable and save you money along the way. Use them in the kitchen when preparing large meals for everyone, or to wipe down the tables once the meal is over. Keep a clean pile of towels or irregular napkins in the drawer or a stylish basket to use instead of paper napkins. If you know a Girl or Boy Scout troop, you can donate cotton flour sack towels to take on camping trips or use for creative activities! Linens can be incredible tools or trendy accents of design. These towels are extremely versatile, and if you don’t need a perfectly spotless towel for your cleaning or caretaking needs, then the irregular products will save you lots of time and money!